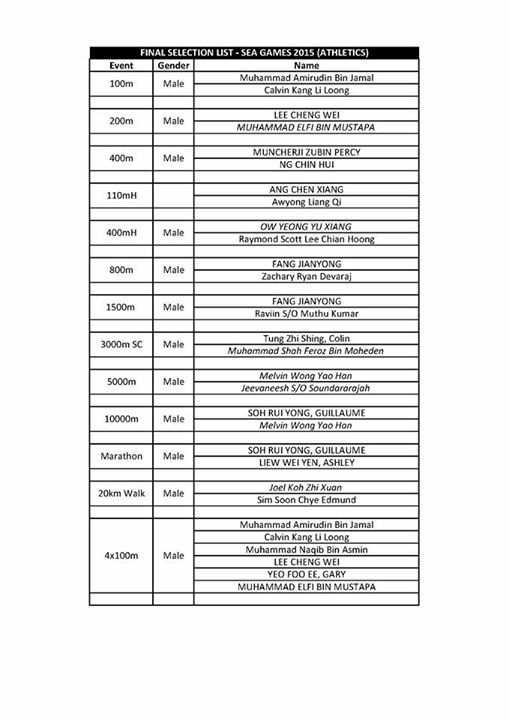 Singapore Athletics announces SEA Games 2015 Representatives | JustRunLah! 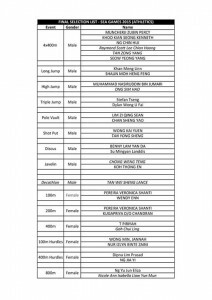 After months of anticipation, the Singapore Athletics has finally announced this last weekend the names of the 41 male and 33 female track and field athletes who will be representing Singapore in the 28th SEA Games, held in Singapore from 6 to 12 June this year. In the men’s category, Singapore will be represented by Jeevaneesh S/O Sounararajah and Melvin Wong Yao Han for the 5000m event. Melvin will also be running in the 10000m event, alongside Soh Rui Yong, who is Singapore’s current national record holder for this distance. 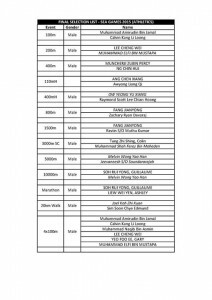 Soh Rui Yong will also race in the marathon event, alongside compatriot Ashley Liew Wei Yen. 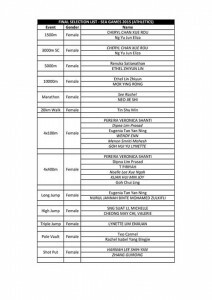 Both athletes have recently taken leave from their academic commitments to train for the SEA Games marathon in Flagstaff, Arizona, and Iten, Kenya, respectively. In the women’s category, Renuka Satianathan and Ethel Lin Zhi Yun will be running for Singapore in the 5000m event. 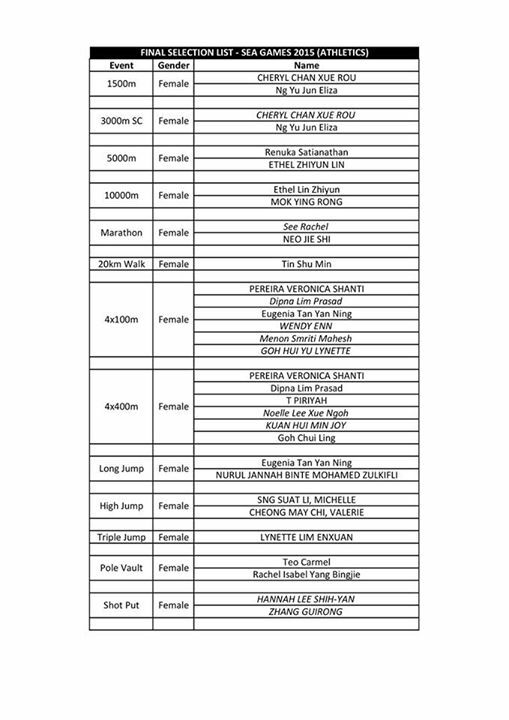 Ethel will also be running in the 10000m event, with fellow representative Mok Ying Rong. Rounding up for the women’s marathon event are runners Neo Jie Shi and Rachel See. 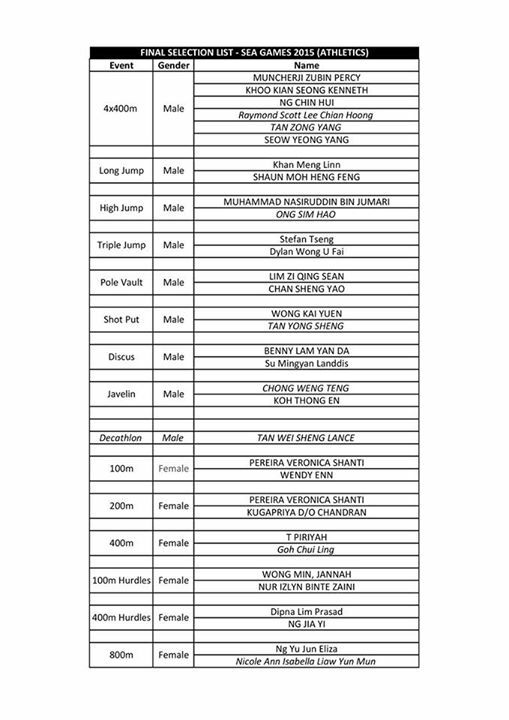 Here is the full list of athletes who will be representing Singapore in the SEA Games 2015. 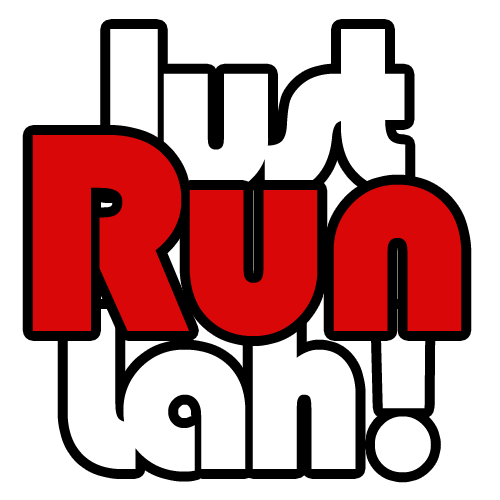 We wish our Singaporean runners and athletes all the very best for the SEA Games 2015!